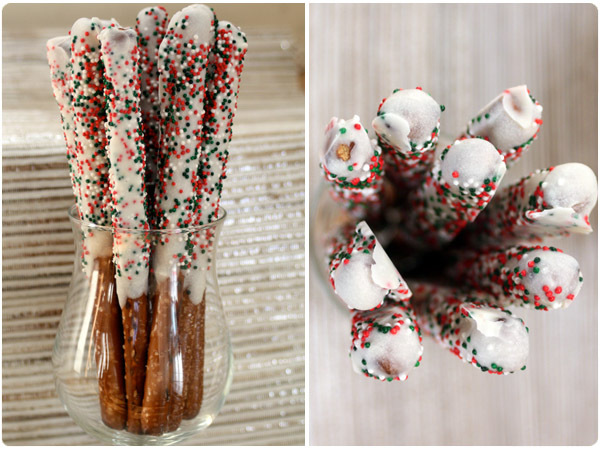 The ever-popular combo of salty & sweet is perfect for holiday entertaining. These two treats are pretty enough to bring to a party but are super easy and can be made at the last minute. Feel free to get creative with the decorations or chocolate dipping/drizzling combos for either option. 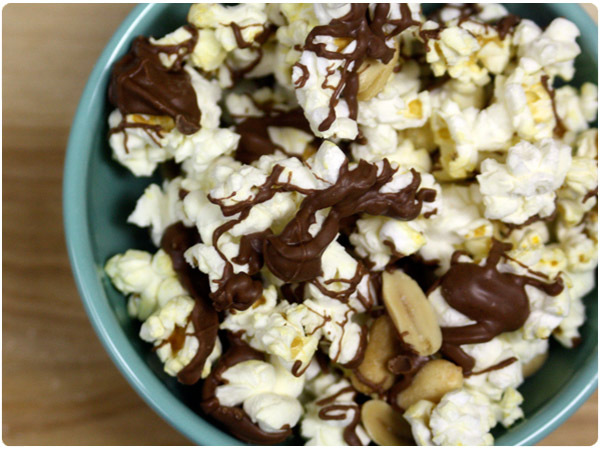 Dried fruit, candies or other nuts would be tasty additions to the popcorn mix as well! Microwave: Place bark/chips in a small microwave-safe bowl. Heat for 90 sec, stir and heat for another 15 seconds. Reheat as needed. Stove: Place bark/chips in a small saucepan over low heat until melted. Cover a cookie sheet with wax paper or parchment paper. Dip pretzels in melted chocolate and swirl to coat one end. Let excess run off. Hold the pretzel over the cookie sheet and coat with non-pareils or sprinkles and rotate. Let cool for 30 minutes. Lay out a large piece of wax paper or parchment paper. Pop popcorn and mix with peanuts on top of wax paper. Melt chocolate/peanut butter chip mix (see directions above). 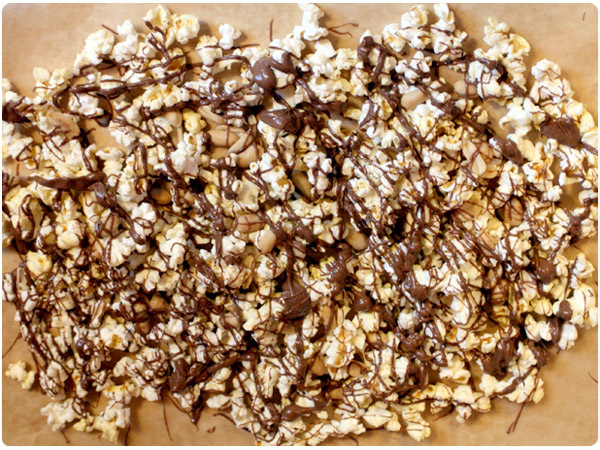 Use a spoon or spatula to drizzle chocolate over popcorn mix. Let chocolate harden for about 30 minutes. Break into pieces and store in an airtight container. So pretty! I love these kinds of things and they are so simple! That popcorn looks delicious! (and would make a great hostess gift) I’ve bought some white chocolate coated popcorn at a gourmet chocolate/popcorn store by my house that everyone loves. Now I’m tempted to recreate it at home.